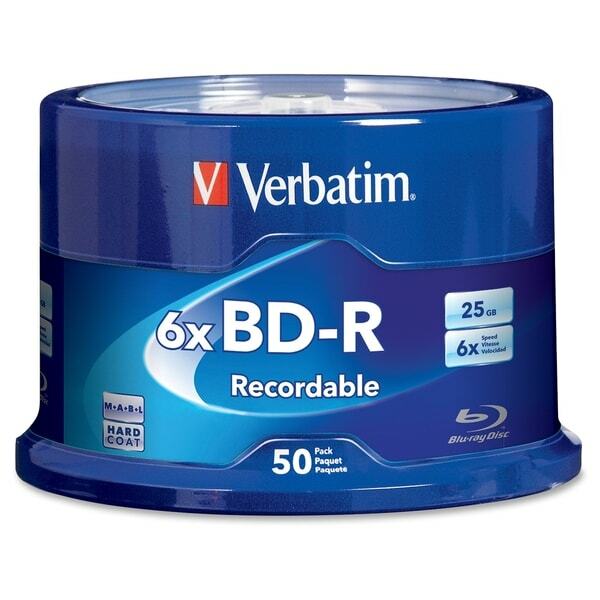 Verbatim - 97238 Blu-Ray Recordable BD-R 25GB 6X 10 Pack Spin Designed to store large HD video and audio files Blu-Ray Recordable (BD-R) discs can handle up to 1080p resolution video and multiple audio formats. 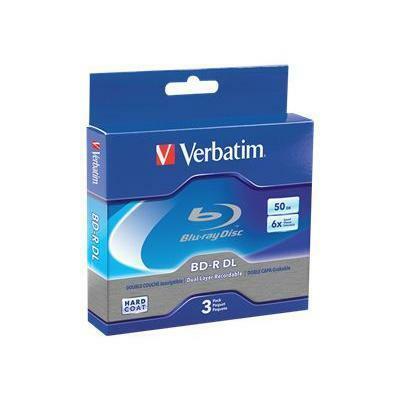 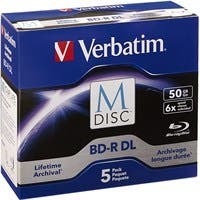 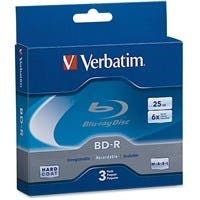 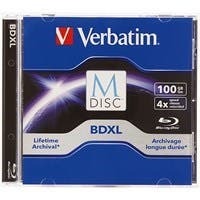 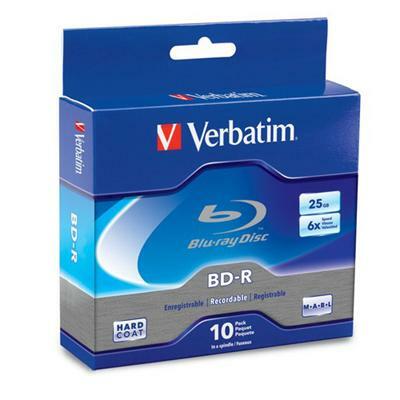 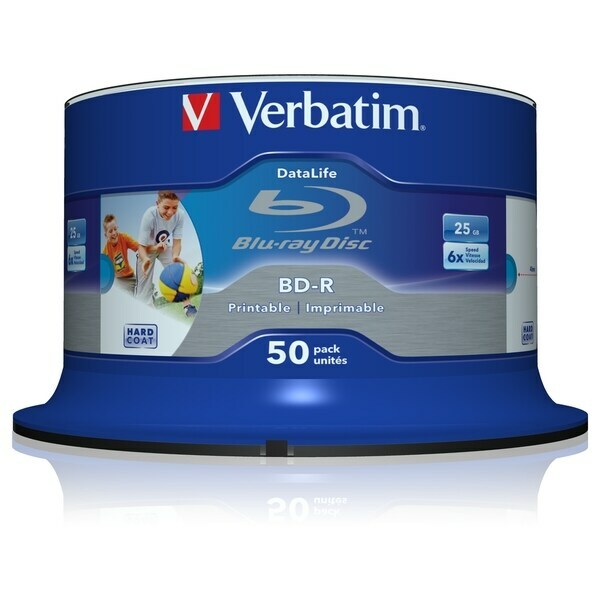 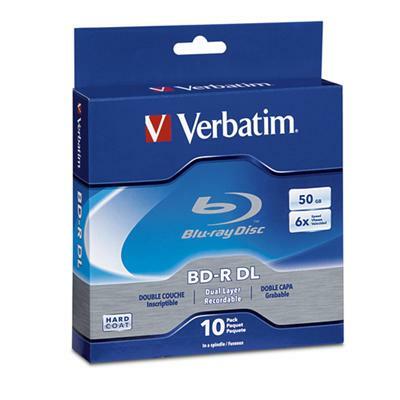 Verbatim - 97457 Blu-Ray Recordable BD-R 25GB 6X 25pk Spindle The Verbatim single-layer Blu-ray disc offers up to 25GB of storage space to back-up your video music photos and more. 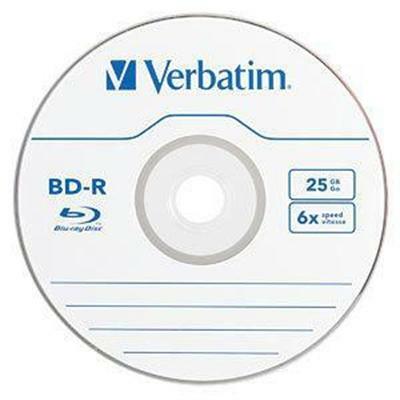 Verbatim - 97335 Blu-Ray Recordable disc BD-R DL Double Layer Compatible with standard BD-R hardware and recorders from leading manufacturers these discs are ideal for storing large HD video and audio files.